Clear away oil, grease, and grime from your automotive, mechanical, and engine parts with our Parts Washer Solvents. 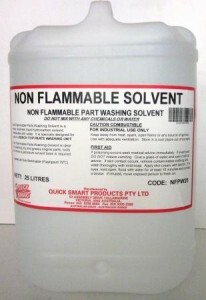 Our Non-Flammable Parts Washing solvent is a clear, colorless liquid hydrocarbon solvent, immiscible with water specially designed for use in a 90 litre bench top parts washing unit. Non-flammable 62°C flash point. Do not mix with any chemicals or water. 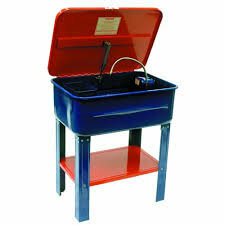 Ideal for cleaning oil and grease from engine parts, bearings, tools etc where a petroleum solvent base is required. 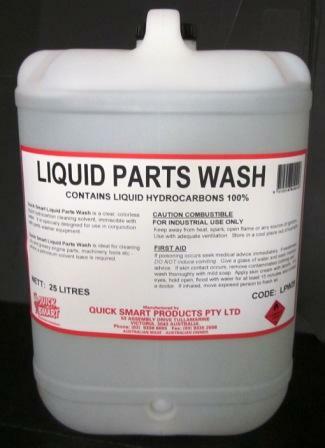 Our liquid parts wash is a clear, colorless liquid hydrocarbon cleaning solvent, immiscible with water. 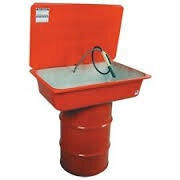 It is recommended for the large industrial parts washing units which sit on top of a 150 litre drum. The solvent is flammable 36°C flash point. 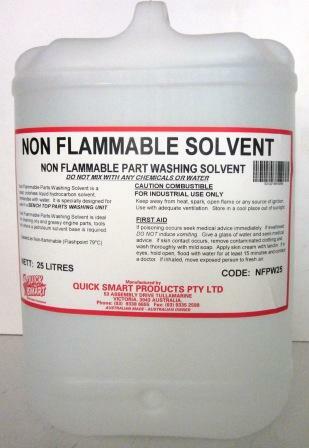 It is a stronger solvent than our non-flammable solvent. It will remove any petroleum grime from engine parts, bearings, brakes etc and is a fast drying solvent. Do not mix with any chemicals or water. Add 20 litres of water to the bottom of the 150 litre drum. Liquid Parts Wash will sit on top of the water, any grime will fall into the water phase.